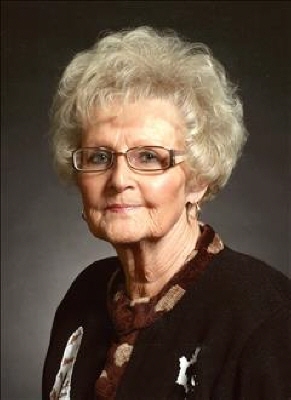 Ruth Cross, 86 year old Woodward resident died Sunday, November 18, 2018 in Woodward. Funeral services will be held at 2:00 pm Monday, November 26, 2018 in the Billings Funeral Home Chapel. Interment will follow in Elmwood Cemetery. Ruth Marie Cross, was born on April 29, 1932 in Oklahoma City, Oklahoma to Ora Russell and Audrey Rose (Stansbury) Edwards. She attended Taft Jr. High and graduated from Norman High School. Ruth was united in marriage to Kenneth Harold Cross on September 2, 1949 in Oklahoma City, Oklahoma. They made their first home in Midwest City . They were blessed with four children; Danny, Susan, Sherri, and Russell. Ruth and Kenneth later moved their family to Norman before making there home in Woodward, Oklahoma. She survived by her son, Danny H. Cross and wife Diana; daughters, Susan Tucker and husband Jerry; Sherri Cross and special friend Dale Jones all of Woodward; seven grandchildren: Danny Cross, Jr. and wife Christina; Faith Roach and husband Mike; Joey Findley; Laura Barnett; Dex Barnett and wife Sidney; Stefanie Ochoa and husband Jerson; Michael Jones; 17 great-grandchildren; other family and many friends. She was preceded in death by her parents; brother, Phil Edwards; husband, Kenneth Cross; and son, Russell Cross. To send flowers or a remembrance gift to the family of Ruth Marie Cross, please visit our Tribute Store. "Email Address" would like to share the life celebration of Ruth Marie Cross. Click on the "link" to go to share a favorite memory or leave a condolence message for the family.